Xy-247Aa184. D1521. Pink and white kimono. White,pink. H0019. Lycra,spandex,polyester. Mens jogges. Purple. Red , gold , green , blue , hot pink. Kung fu chinese. Clothing shaolin. Dresses red silkMongolia living vest. Hippie women clothes. Russian style dresses. Actual images. Chiffon. White, yellow, light blue, watermelon red. D1638. Sleeves: Lace quality tshirt. Stage dress. Bamboo fiber. Wholesale monk clothing buddhist. Hanfu men costume. Lapel. Bikini thailand. Dress summer maxi. Red kimono. All code. Aa005. Red, purple, blue, black. Skinny. Ctm18001. Wholesale costumes for adults monkey. Korean clothing formal. Jk089. Women yukata. H0040-b#. Peacock&pattern. Size : Red robe costume. Hf088. Cac18085. Spring ,  autumn ,winter. Pink/green. Female. Hello everyone! Some exciting news! If you’re in or near the Columbus, Ohio area September 29-30th we’ll be showing Akash at GDEX! We’ll have a playable build of Akash–come meet the team, say hi, and try out the game for yourself! More updates to come as we get more info, but our registration is all set and confirmed! We hope to meet some of you out there! 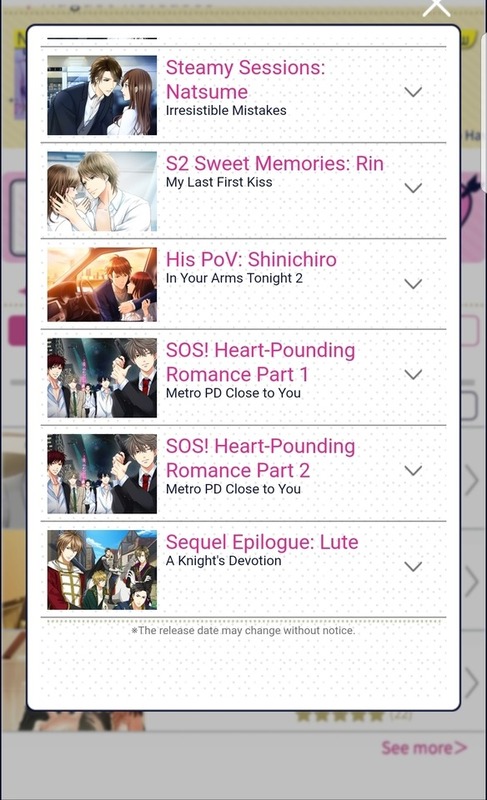 We have been aiming for an August release date for chapter 3 and SE’s full version since the demo release in June. While we are very very close to being able to release, Olivier and I still need to make a few tweaks to the final product and the beta players need to complete one last round of beta testing. Unfortunately for Olivier and I, our internet providers have been quite unreliable in the last few days, and it has greatly affected our ability to work productively. This has resulted in delays in the development that we could not have predicted. 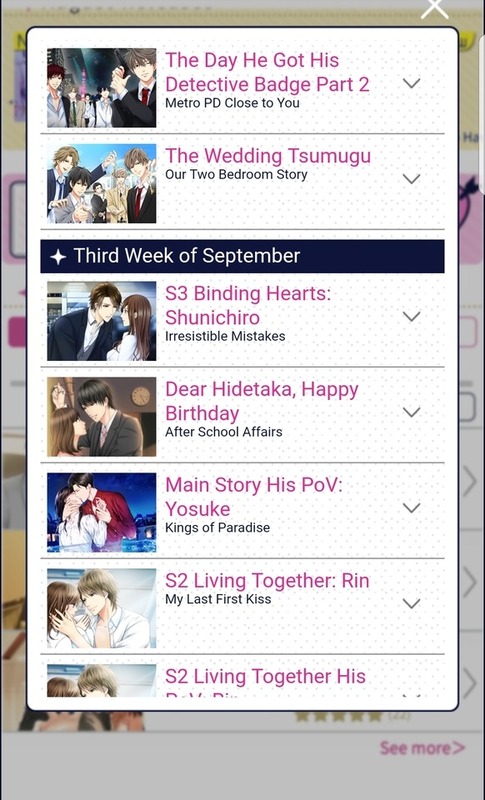 As such, Chapter 3/full version will most likely release in the beginning of September. 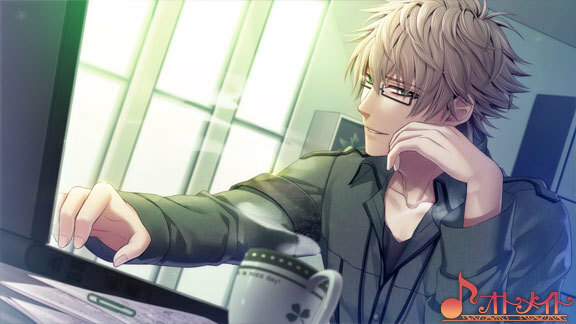 We truly are sorry for this delay, and we’ re doing everything we can to release as soon as possible. We will keep you informed as the week goes by. 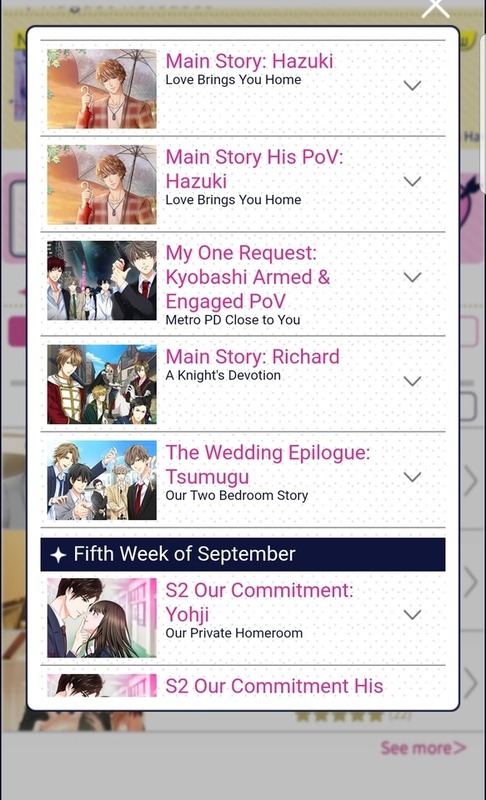 Help us choose the direction of our next series! Click to view the survey! 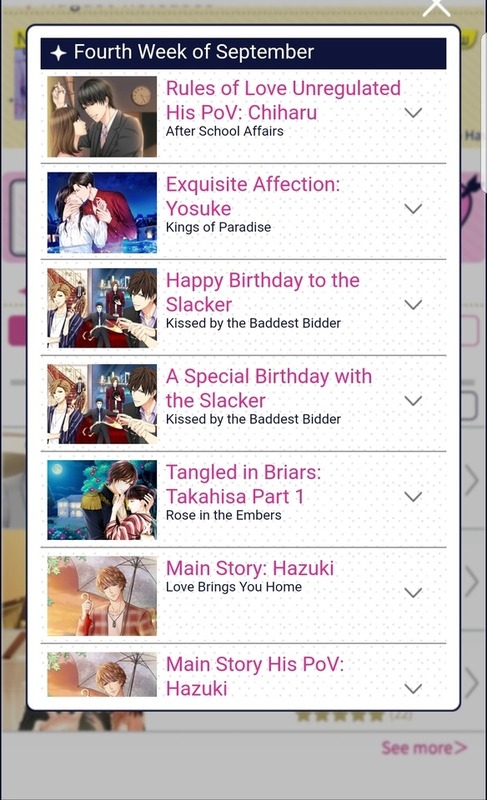 This survey is a bit different than usual; this time, instead of providing specific plots, we’ll be having surveys over the next couple of weeks, going from broader to more specific questions about what you want to see from us next! This way, we will be able to take your feedback into account more fully. This survey is the fi rst of three! 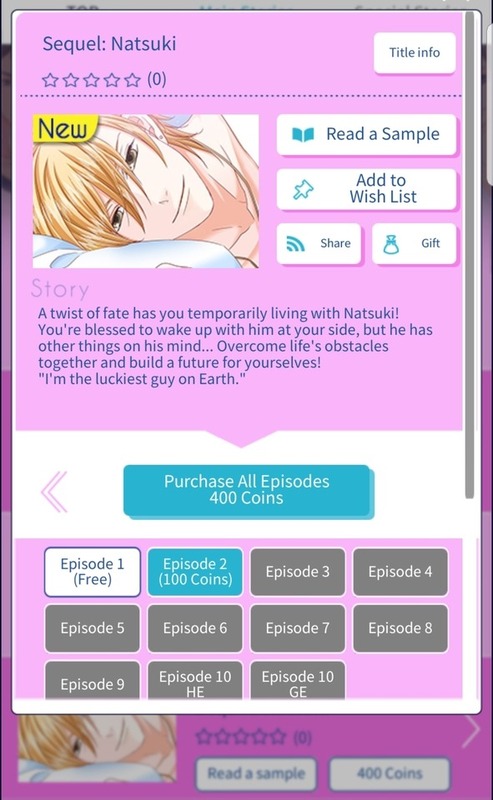 [CD] Natsuki’s Sequel now available! 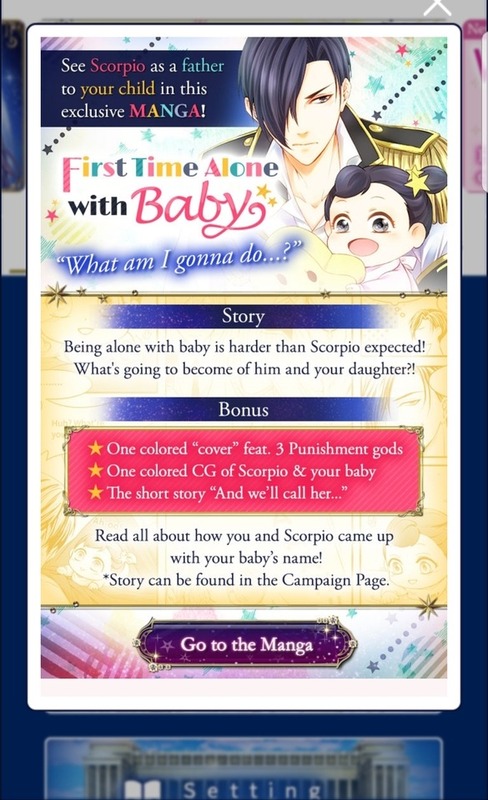 [SCM] Scorpio’s First Time Alone with Baby now available! 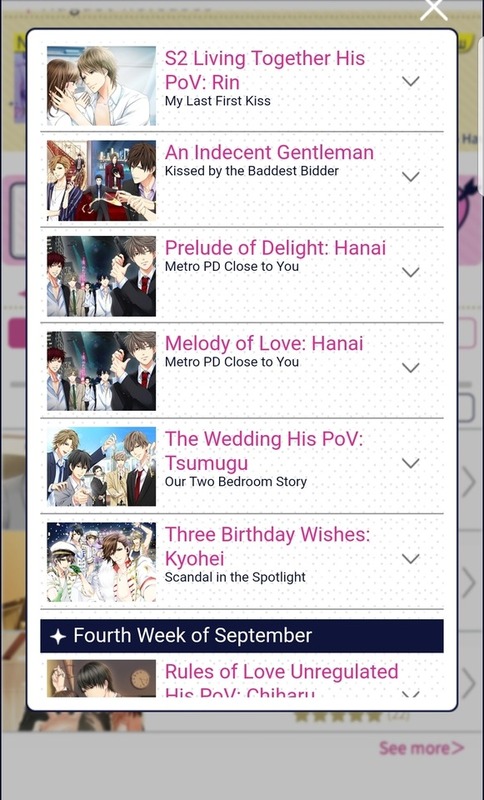 We have opened our Official Day7 Website! 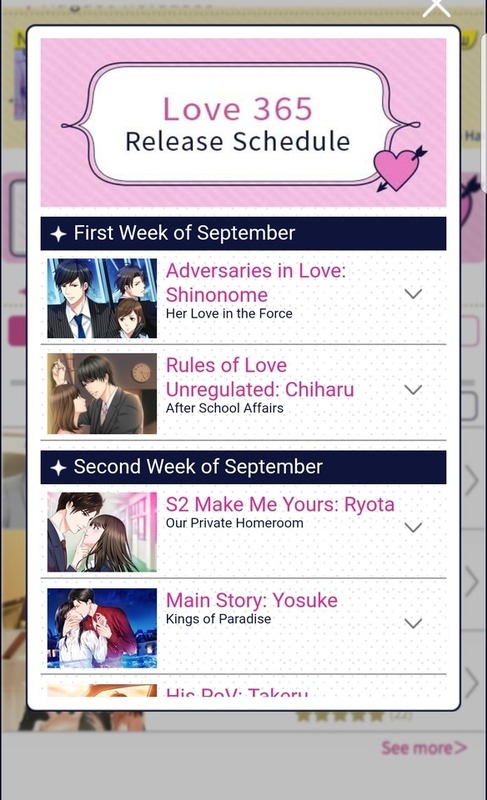 Routes coming soon in September! 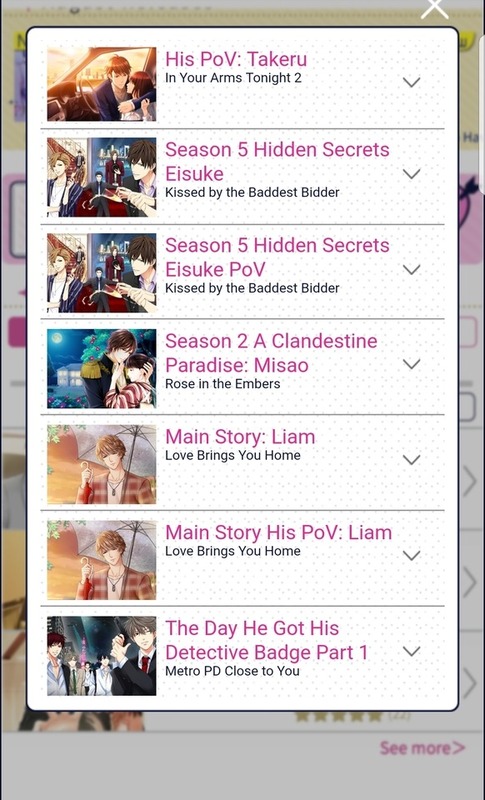 Eisuke’s Season 5 is coming soon, second week of September! 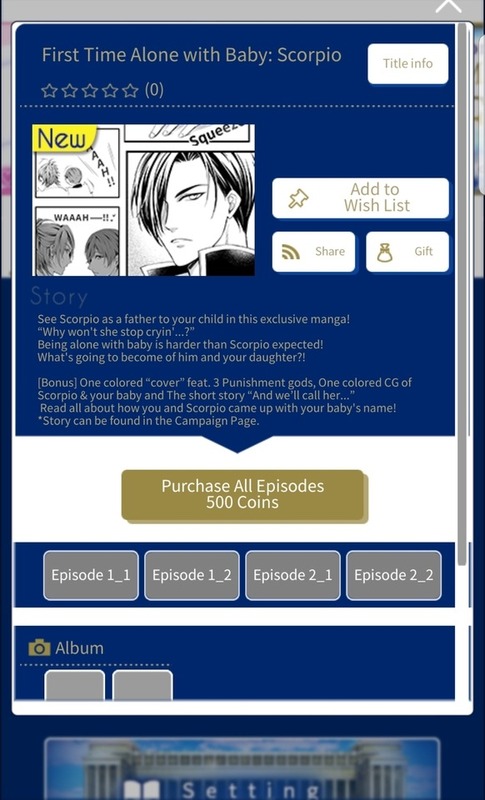 Scorpio now has an in-app manga! First Time Alone with Baby: Scorpio - now available! “Why won’t she stop cryin’…?” Being alone with baby is harder than Scorpio expected! What’s going to become of him and your baby?! Tons of bonuses when you purchase! Read all about how you and Scorpio came up with your baby’s name! WHAT ON EARTH DID I DO! ?